Who is in control? The sustained threat from rogue states, international terrorism, religious extremists, and moral confusion arising from liberal views of all kinds begs the question: what is happening to our world? Is no one in control? This is a deep vulnerability that many people express. And not simply in global events. Our own personal world often seems out of control as we reel from suffering, family tragedies, and unanswered prayers. The prophet Habakkuk knew that God was in control but, like us, his personal experience seemed to contradict this and he wrestled with the tension. This book is a dialogue between the prophet and God. 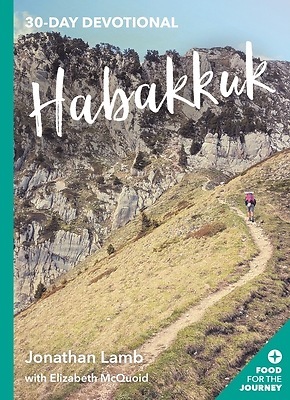 Habakkuk confronts God with his confusion and, in doing so, he expresses the voice of the godly in Judah and he speaks for us. We join in the journey from "why?" to worship.